In order to get to Nokonoshima Island, first take the Nishitetsu Bus to the Passenger Terminal from Tenjin or Hakata, and then take the 10 minute ride on the Municipal Ferry. Nokonoshima is a popular spot enjoyed by tourists for its beautiful nature and the many breathtaking views. Why not escape from the urban bustle and refresh your mood with a trip to a distant island? 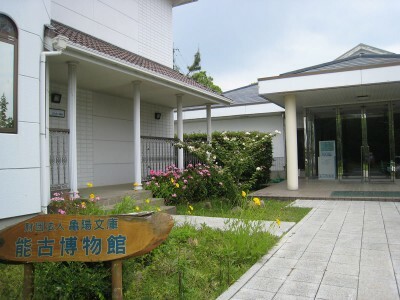 This facility located adjacent to the Nokonoshima Island ferry landing combines a tourist information center with a cafe serving light meals. The shop sells fresh fruits and vegetables grown on the island, along with gifts and processed goods, and also offers bicycles for rent. 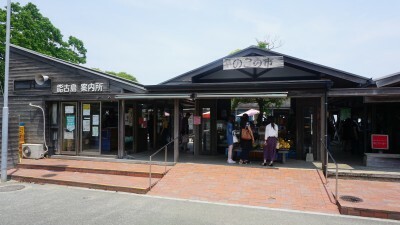 The cafe space is typically filled with tourists and offers light meals and snacks such as the locally famous “Noko Burger” and soft ice cream. The tourist information center offers an array of pamphlets that will be helpful as you walk around the island. This is the shrine of the Shinto deity that watches over Nokonoshima Island, a type of deity called “ubusunagami”, known by the names Sumiyoshi-no-Okami, Jingu Kogo, and Shikamyojin. 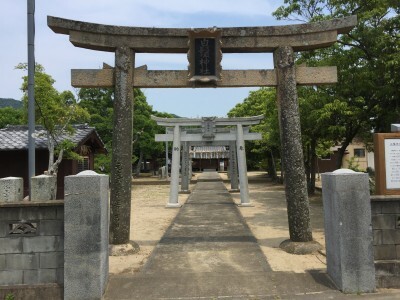 It is said that the name of Nokonoshima Island is derived from the belief that Jingu Kogo left (nokosu in Japanese) the spirit of “sumiyoshi” here on the island (shima in Japanese), which was contracted to “nokono shima”, and the spirit became enshrined in the Shirahige Jinja Shrine. The “Okunchi” festival held annually on October 9 is designated as an intangible cultural property by Fukuoka city. The first thing to catch your eye here is the large model cargo ship. Nokonoshima Island was in fact one of the five bases of the “Chikuzen Gokaura Ships” (Ships of the Chikuzen Five Inlets), a fleet of trading vessels that once operated throughout Japan. The museum also displays documents related to the family of Kamei Nanmei, a confusion scholar during the Edo period who recognized that the golden seal thereof was sent from China during the later Han dynasty. Other exhibits include the paintings of Yoshio Tadara, an artist born on the island, as well as the “Nagatareyama Murasakiishi” (Mt. Nagatare Purpurite), which is designated as a natural monument by the Japanese government. Here you can also see the ancient Noko –ware kiln site, a designated under the Cultural Assets in Fukuoka. 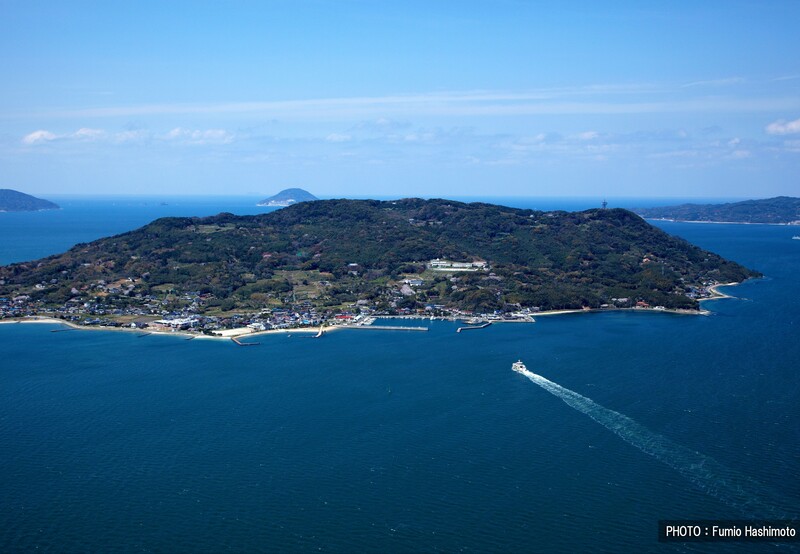 Take a city operated ferry from Meinohama, Fukuoka and arrive at Nokonoshima in just ten minutes. 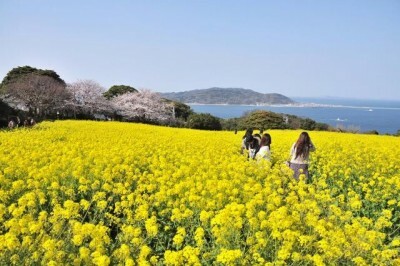 This island, rich in nature, just sits in the middle of Hakata Bay. The Nokonoshima Island Park is a natural park of about 150 thousand square meters stretching out in the northern part of Nokonoshima Island. The park is filled with blossoming flowers such as cherry, broccolini and cosmos all year round.The broccolini and cosmos at this park are especially popular. The riot of flower colors contrasting with the blue of Hakata Bay is just magnificent. There are restaurants, a barbeque house and Fureai Petting Zoo where visitors can get close to animals. The Omoide-dori is a reproduced small, old, traditional town where you can buy molded confections and toys found in Japan a long time ago. You can also use rental cottages and bungalows in the camp village.